A slip and fall accident can happen to anyone. All it takes is a wet floor or a piece of raised tile in a spot you don’t expect and suddenly you’re injured and your life is turned upside down. The good news is: if the accident occurred at a grocery store, retail store, restaurant, hotel, movie theatre or another public place, it’s possible that the property owner is liable for your injuries. This is because property owners have a legal duty to maintain reasonably safe conditions for customers and guests. And if the property owner’s negligent failure to properly maintain the property or to warn of hazardous conditions caused or contributed to your slip & fall accident, the owner may be obligated to compensate you. So if you’re in need of a Lake Worth slip & falls lawyer, know that the attorneys at Gonzalez & Cartwright, P.A., take pride in providing exceptional legal services to the South Florida community, including our vibrant Hispanic community. We recognize that it can be challenging to interact with a property owner’s insurance company following a slip and fall accident, especially if English is not your first language. 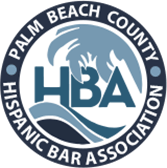 Since 2010 our firm has worked diligently to protect the interests of members of the local Hispanic community, and we can put our combined 35 years of experience to work for you as well. While a slip and fall accident can occur anywhere at our law firm we’ve found that some conditions seem especially likely to lead to serious or even catastrophic injuries. Under Florida law, you have four years to file a personal injury lawsuit if you have been injured in a slip and fall accident (or two years from the date of death if a fatality was involved and you’re filing a wrongful death claim). But it’s the things you do in the immediate aftermath of your accident that can make the difference between recovering full and fair financial compensation or something less than that. Seek medical attention, if necessary, whether that is at an emergency room or doctor’s office. Report the accident to the owner or manager of the property. Take photographs of the accident scene, the surrounding area, and any visible injuries. Get the contact information of witnesses. Then reach out to an experienced Lake Worth slip & falls lawyer, one who has the skills and resources needed to demonstrate that the owner of the property was negligent and responsible for your injuries. Identifying the property owner’s insurance company and the defendants in your case. Documenting your medical care and the damages you have incurred. Your attorneys can also represent you in discussions and negotiations with all third parties, no doubt taking a big weight off your shoulders so you can focus on recovering from your injuries. More important, still, an experienced Lake Worth slip & falls lawyer can advise you of your legal rights and legal options and file a lawsuit on your behalf, a big step towards getting the financial compensation you deserve. So if you or a loved one have sustained injuries in a slip and fall accident that occurred on someone else’s property, contact Gonzalez & Cartwright, P.A. via phone or online contact form, to discuss the circumstances surrounding your case. We offer a free, no-obligation consultation and our offices are conveniently located on Lucerne Avenue in downtown Lake Worth across from City Hall. If it isn’t convenient for you to visit our offices, we can travel to the hospital or to your home, with appointments available in the evening or on weekends as well. We also cater to Spanish speaking clients, as most of our Lake Worth personal injury attorneys and staffers are bilingual. Call us or contact us via our online form today and get on the road to receiving the financial compensation you deserve. FAQ: How much is my slip & fall case worth? It depends on a number of things, including liability and the nature and severity of your injuries. If the property owner is deemed to be liable, some damages are relatively easy to prove, like past medical expenses. Others are typically more contested by the involved parties, like pain and suffering, which can be seen as more subjective. But if you hire an experienced, competent Lake Worth slip & falls lawyer he or she should know what comparable cases have returned in the past and be able to give you a sense of what your case is worth. 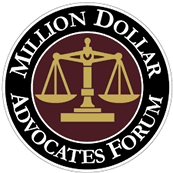 FAQ: What’s the difference between economic and non-economic damages? In the context of a slip & fall case, economic damages typically refer to medical bills, lost wages, and loss of present and future earning capacity. They are sometimes referred to as special damages (or if using legal slang, specials). Non-economic damages typically include things like pain and suffering, which may not be easily quantifiable.